From 1978 to 2018, China has used the road of developed countries for two or three hundred years in 40 years: the per capita GDP has increased from 384 US dollars to 9281 US dollars, and the economic aggregate has increased from 1.8% to 14.8%. The changes have changed dramatically and the achievements have attracted worldwide attention. Now, once again, we are standing at an important historical node. It is necessary to think deeply about the reasons for achieving achievements in the past 40 years. It is necessary to showcase a group of entrepreneurs who have been celebrating the nightfall for 40 years. It is necessary to look back at our road to reform. . The financial sector website launched the 40th anniversary of the reform and opening up - a tribute to the power of the march and an interview with the "See" series to find such a person. Every inch of the skin is engraved with the growth and exploration marks of New China, pushing the wheels of history to roll forward, looking forward to using their eyes to tell the past history and illuminate the way forward. Liu Yuanchun is currently the Vice President of Renmin University of China, the Dean of the School of Economics, the Doctoral Supervisor, the Distinguished Professor of the Education Minister Jiang Scholar, the Policy Research Office of the CPC Central Committee, the Policy Research Office of the State Council, and the National Monetary Policy Committee. He is mainly engaged in open macroeconomics. Research in international economics and other aspects. 1. 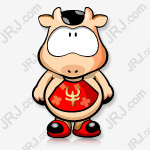 Through reform and opening up, China has established an effective socialist economic system, achieved major innovations and great creations in theory and practice, broke the incompatibility between socialism and market economy, and formed the theory of socialism with Chinese characteristics. And achieved one great victory after another in the process of modernization. 2. In the first stage of supply-side structural reform, we are problem-oriented, and the strategy of promoting supply-side reform with administrative means as the foothold is correct and scientific, but the next stage of supply-side structural reform should return to the foundation. Sexual reform, that is, government system reform, fiscal and taxation system reform, and state-owned enterprise reform, turned to an endogenous incentive-oriented model to stimulate the vitality of market players. 3. The test of the success of the reform of the supply side is not simply how many factories and how many debts are solved, but rather the efficiency of resource allocation and the vitality of market players. Reforms that do not improve efficiency are chaotic reforms. 4. In the face of the problems arising from the wave of “reverse globalization”, the crux of the problem lies not in globalization itself, nor in the opening itself, but in the fact that there is no real set of domestic and international transfer payments, and a set. An effective international governance system to coordinate some of the negative effects of globalization and the new technological revolution in the past, and to share the corresponding costs. 5. US trade protectionism is a product of periodicity and inevitability brought about by the development of high and new technology in the past few decades. The outbreak of the past crisis has exposed the intangible changes brought about by globalization and the new technological revolution. In the past 40 years of reform and opening up, China has led more than 700 million people out of poverty, established a highly effective and developed socialist economy, and built a solid and solid foundation for the comprehensive rejuvenation of the nation. In addition, while developing the economy, the central government needs to establish a scientific and complete macro-prudential supervision system to prevent and control the occurrence of risks. The financial community: As a well-known scholar in China, what is your most impressive impression of the development achievements that have been achieved in the past 40 years of reform and opening up? Which aspects are most satisfying to you? And what are the most worthy of your expectations? Liu Yuanchun: In the past 40 years of reform and opening up, there have been three major achievements that are most satisfying and most remarkable. First, China has created the world's second largest economy in the past four decades, freeing more than 700 million people from poverty and becoming an important milestone in the history of human development, creating a miracle of human history. Second, through reform and opening up, China has truly established an effective socialist economic system, achieved major innovations and great creations in theory and practice, broke the incompatibility between socialism and market economy, and formed socialism with Chinese characteristics. Theory, and achieved great success after another in the process of modernization. Third, it has created a solid and solid economic and social foundation for the comprehensive rejuvenation of the nation. The national rejuvenation will surely be realized in the process of reform and opening up. Development is the key to solving all problems in China, and reform and opening up is the fundamental driving force for China's development. At present, we are closer, more confident and capable of achieving the goal of the great rejuvenation of the Chinese nation than at any time in history. What we are most looking forward to is to carry out our reform and opening up to the end. We must continue to improve the socialist market economic system through reform and opening up, consolidate the economic foundation, and truly realize the desire for national rejuvenation. This is also our most fundamental pursuit. The financial sector: While the economy has achieved steady and healthy development, the central government has also proposed to focus on preventing the occurrence of systemic financial risks, and has achieved considerable results. In what areas do you think you need to continue to work in the future? Which areas are you most worried about? 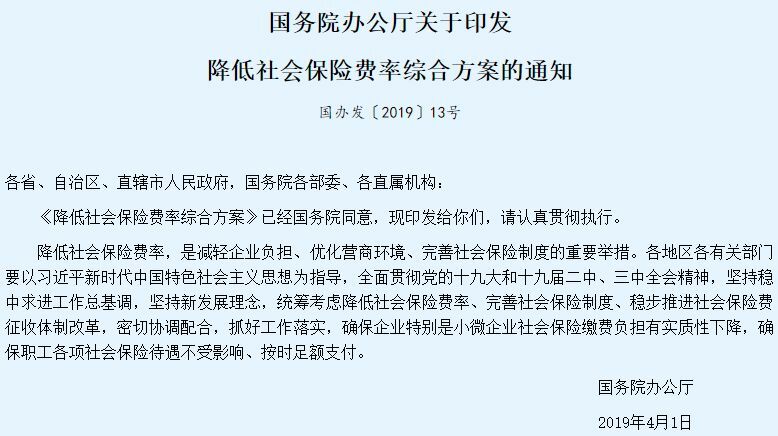 Liu Yuanchun: First, it is necessary to establish a scientific and complete macro-prudential supervision system to prevent and control the occurrence of risks. This is very important. Second, we must focus on preventing real estate financial risks, exchange rate risks, local government debt risks, and liquidity risks. We need to rationalize the social financing structure, increase the proportion of direct financing, curb government credit and excessive expansion of government-like credit to mitigate risks and boost private enterprise confidence; at the same time, we must also continue to expand financial and financial There must be corresponding control measures for fluctuations. Third, in terms of monetary policy, it is necessary to pay close attention to liquidity and moderately increase the growth rate of M2. In the future, it will not rule out the possibility of further interest rate cuts. The supply-side structural reform achieved gratifying phase results in the first phase. However, relying solely on administrative means, through layer-by-layer supervision and layer-by-layer overwriting, did not achieve incentives as the main body, which is certainly unsustainable. In the second round of supply-side reform, basic and profitable reforms should be initiated to address the deep-seated problems faced. The financial sector: In recent years, China has vigorously promoted the "supply-side structural reform", and has achieved very gratifying phase results in the process of "three to one, one reduction and one supplement". It is undeniable that the supply-side reforms promoted by administrative means make the reform subjects lack strong enthusiasm, especially the grassroots subjects. What is your comment on this? What are the suggestions and countermeasures? Liu Yuanchun: First of all, the supply-side reform is the main body of economic work in the past, and the central government has grasped the positioning very accurately. However, different modes are needed at different stages to advance the work. In the first stage of the supply-side structural reform, we are problem-oriented, and the strategy of promoting supply-side reform with administrative means as the foothold is correct and scientific, but the next stage of supply-side structural reform should return to basic reform. That is, the reform of the government system, the reform of the fiscal and taxation system, and the reform of state-owned enterprises, and the shift to an endogenous incentive-oriented model to stimulate the vitality of market players. From November 2015 to the present, it has certain inevitability to promote supply-side reform through government-led and administrative means. However, relying solely on administrative means, through layer-by-layer supervision and layer-by-layer overwriting, it has not achieved incentives as the main body. It must be unsustainable. Summarizing the various achievements and experiences in the past three years, and opening the second round of supply-side reform, we must use institutionalization and legalization as the means to stimulate the internal viability of the reform subject. In the second round of supply-side reform, we must not only face the reform of some problems on the supply side, but also continue to make structural adjustments. More importantly, we should initiate basic and leading reforms to solve the problems faced by economic operations. Deep-seated problems, and then returning the reform to the track of institutionalization and legalization, can truly realize the reform goal of the market playing a decisive role in allocating resources and giving full play to the role of the government. Secondly, the focus of the structural reform of the supply side is precisely positioned. The real economy is the foundation of a country's economy, the fundamental source of wealth creation, and an important pillar of the country's prosperity. To deepen the structural reform of the supply side, we must focus on the development of the real economy and improve the quality of the supply system. Accelerate the development of advanced manufacturing industries, promote the deep integration of the Internet, big data and artificial intelligence with the real economy, promote the concentration of resource elements to the real economy, tilt policy measures to the real economy, strengthen the work force to the real economy, and create a down-to-earth, hard-working business, and industrial wealth. Development environment and social atmosphere. We will deepen the reform of the market-oriented allocation of factors, focusing on “breaking”, “standing” and “decreasing” efforts: vigorously breaking the ineffective supply, vigorously cultivating new kinetic energy, and vigorously reducing the cost of the real economy. Finally, fully mobilize the initiative and initiative of the local and grassroots to promote reform. The test of the success of the supply-side reform is not simply how many factories and how many debts are solved, but rather the efficiency of resource allocation and the vitality of market players. The first phase of the supply-side structural reform with "three to one, one reduction and one supplement" as the main focus has been basically completed, and many new problems have arisen. It should be based on summing up and reflecting on the reform work of the previous stage. Make a comprehensive adjustment, grasp the current domestic and international environment and market entities and the public's consensus on the major reforms, and introduce the core program of the second phase of supply-side structural reform. At present, the problems in the structural reform of the supply side are deepened. Some are due to the difficulty in landing the top-level design in some places, and the reforms are idling; some are due to the heavy administrative color in some areas, and the “one size fits all” is likely to bring sequelae. An important way to solve these problems is to establish and improve incentive mechanisms for reform and innovation, so that all regions, departments and economic entities can boldly explore and open up the "last mile" of reform. As a world-class bay area, Guangdong, Hong Kong and Macau's Dawan District shoulders the growth of China's region and is based on the growth of the entire world economy. This requires central policy support and a firm commitment to reform and opening up. In addition, the endogenous motivation of reform comes from the establishment of an effective mechanism to motivate reformers, and must stimulate the endogenous motivation of reform. Reforms without efficiency improvement are chaotic reforms. The financial sector: Guangdong, Hong Kong and Macao Dawan District, which has the characteristics of “one country, two systems and three customs zones”, has a deep understanding of institutional economics after the completion of the Hong Kong-Zhuhai-Macao Bridge. You have a deep understanding of institutional economics. Convergence to talk about what expectations are there for Guangdong, Hong Kong and Macau? Liu Yuanchun: The Guangdong, Hong Kong and Macau Bay Area is a very important concept of regional growth. As one of the world-class highly developed Bay Areas, Guangdong, Hong Kong, Macao and Dawan District play a leading role in the development of the real economy across the country. At the same time, we must give full play to Hong Kong's advantages in human resources and internationalization, and thus realize modernity in the region. A modern industrial system in which finance, modern technology, and human resources are integrated. At present, the Guangdong, Hong Kong and Macau Bay Area has such conditions. This growth will not only drive growth in the Chinese region, but also be based on the growth of the entire world economy. It needs to allocate resources around the world to form a A new situation in which the Bay Area economy is competing. Therefore, Guangdong, Hong Kong, Macao and Dawan District should make good use of Shenzhen's modern technology, Guangzhou's modern real economy, Hong Kong's modern finance, and the entire Guangdong, Hong Kong and Macao region's human resources to form a good system synergy. This growth pole, on the one hand, is backed by China's vast mainland market. On the other hand, it has a strong overall openness advantage. It also includes the institutional integration advantage of "one country, two systems". In the future, together with the promotion of central policies, it can fully play its role. All kinds of advantages. The financial world: Where do you think the endogenous motivation of reform should come from? How to release more endogenous power? Liu Yuanchun: First of all, the endogenous motivation of reform comes from the establishment of an effective incentive mechanism that encourages reformers to reform and reform. From the central level, it is necessary to construct a scientific and complete policy system and political and economic system on the selection and employment of people, and to use a group of reformists who are willing to reform, reform, and scientific reform to be used in key positions. Second, we must establish a shared system that integrates the interests of reformers with reforms. Whether from the central or local level, it is necessary to establish a system for sharing the interests created by the reformers and the reforms carried out, so as to ensure that the micro-subjects are willing to innovate and reform to share the reform dividend. If the reform dividend has nothing to do with the reformers, reform It is impossible to continue. In addition, it is necessary to be able to put down the historical burden and go into battle. In the past, we have been talking about the "original sin" problem. The historical burdens that affect the entrepreneur's mentality during the specific period must be put down, to prevent the negative effects of such historical burdens. Finally, it is necessary to establish a fault-tolerant and trial-and-error mechanism for reform, and to distinguish between the differences between unintentional mistakes and intentional violations. 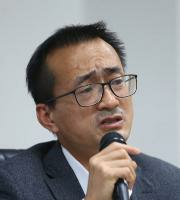 The central government has proposed to select “reform-type” cadres, but reform-oriented cadres are faced with some assessment systems, because the more clerk, the more mistakes they make, and the more they do not make mistakes, but this kind of reverse incentive will only make the reform “small water”. "It is difficult to go deep." Therefore, we must reorganize the boundary between top-level design and grassroots innovation and grassroots practice, and provide sufficient trial and error space for some grassroots innovations. American trade protectionism is a product of periodicity and inevitability brought about by the development of high and new technology in the past few decades. The past crisis has exposed the intangible changes, but it has not been actively and effectively resolved. Currently, the US financial cycle is in an upward phase, while emerging economies, including China, are in a down phase, which puts tremendous pressure on the exchange rate. The financial world: You have been studying world economics for a long time. For Trump's promotion of US priority policy since he took office, he has constantly provoked a trade war with countries all over the world. China is not immune. How do you view this trade protectionism? How will this affect the world economy? Liu Yuanchun: First of all, US trade protectionism is a product of periodicity and inevitability brought about by the development of high and new technology in the past few decades. While enjoying the development brought about by the globalization of convenience, the world and various countries have not established a system of dividend sharing, which has led to income inequality in the world, and the differentiation among ethnic groups within the country has reached an unprecedented level. Second, the outbreak of the past crisis has exposed the inconspicuous changes brought about by globalization and the new technological revolution. However, in the resolution of the crisis, the world did not really solve these problems, did not resolve the division between countries, did not solve the problem of income inequality within each country, and the problem of ethnic division. On the contrary, a series of stimulus policies and a loose monetary policy have been used to save the makers of these contradictions, which further exacerbated the rift between income distribution and the contradictions between ethnic groups. At present, we will see nationalism, protectionism, and separatism, which is a trend that has emerged around the world. The "American supremacy" of protectionism represented by Trump is only a representation in the trend. So the impact will continue this deep, this is not a short-term phenomenon, but a mid-term phenomenon; it is not just an American phenomenon, it is a world phenomenon. Therefore, we must have a clear understanding of the long-term impact of such US protectionism and the impact on countries. Global trade growth rate began to fall, the global growth rate began to fall, so we'll see Trump taken such a number of trade protection policy, it would have a serious impact on the world economy, to deal with these shocks we can not be too simplistic. Finally, faced with the problem "reverse globalization" wave occurring, it is not the crux of globalization itself, nor the opening itself, but not really established a national and international transfers body, and a set of effective international trading system, to promote coordination of some of the negative effects of globalization and technological innovation process in the middle of the past, and share the corresponding costs. In addition, we want to unite the real power of world progress, with multilateralism against unilateralism, with an open spirit to fight the closure of the spirit. More importantly, we have to adopt a series of forms of cooperation to solve some of the problems we are currently facing. Therefore, we must establish a dialogue mechanism with negotiation, coordination, and not opposition; at the same time, we must isolate unilateralism by establishing some new united fronts, especially the establishment of such a community of interests, forcing them to make change. The financial sector: The current US economy is gradually recovering. The Fed also raised interest rates three times during the year. It is expected to raise interest rates further by the end of this year and next year, which will put greater pressure on the renminbi. China and other emerging market countries are therefore faced with difficult choices to protect foreign exchange or maintain exchange rates. What do you think of this? What are the suggestions? 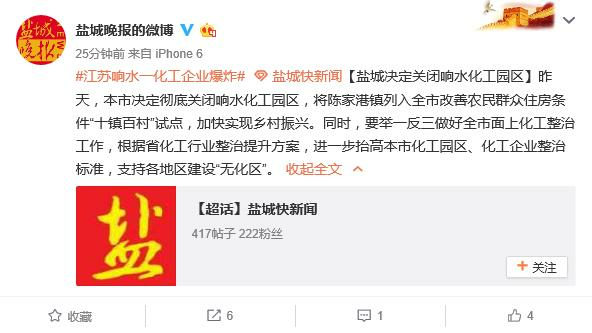 Liu Yuanchun: First of all, the world is currently facing a very important issue of differentiation. The entire financial cycle of the United States itself is still in the ascendant stage, while emerging economies, including China, are in a downward phase of their financial cycles, which has led to serious misalignment between the United States and emerging countries in the positioning of monetary policy. This misalignment is embodied in the exchange rate and will be expressed in terms of capital flows. As the US interest rate hike and the US economy continue to rise, and the US asset yields continue to rise, this will directly lead to a large number of global safe-haven capital, which in turn will lead to a major capital reversal, which will cause a large number of risk exposures to peripheral countries. Because many emerging economies have borrowed money in the past few years, their debt ratio has risen sharply, and the debt itself relies heavily on bonds. The issuance of bonds is also denominated in US dollars, which has led to the debt of many emerging economies. The problem of mismatches is so serious that they are subject to international hot money and are under pressure from exchange rate depreciation. Second, emerging economies themselves are also pushing for structural adjustments. In the process, unsuccessful structural adjustments can also lead to serious internal problems. Therefore, the exchange rate issue will cause many new problems. This internal and external superposition has led to a new round of financial turmoil in emerging economies. This financial turmoil has further accelerated the reversal of risk appetite for global assets seeking security. Moreover, this process will continue in the second half of this year and next year. Therefore, the pressure on the currency of emerging economies is inevitable. This is the inevitable result of the current structural fission and cyclical differentiation. Moreover, this is also the inevitable result of the inconsistent adjustment pace of each country. For China, although it will bear the pressure of such capital reversal and cyclical dislocation, it is necessary to see that China's fundamentals are very good, and other emerging economies cannot compare with us. The resilience and flexibility of the Chinese economy are very strong. What is more important is that China itself has other foreign exchange reserves. This powerful system makes the value-added space very large. At present, maintaining the stability of the renminbi is in the ultimate interest of us. If the renminbi depreciates, it is not good for the stability of the entire financial sector of our country. From the perspective of risk, the stability of foreign exchange is still a basic point. Therefore, from the perspective of medium-term finance, exchange rate stability is one of the foundations of our macro stability. As a big country economy, we should take exchange rate stability as our goal. At the same time, we must also adjust some reform measures in other areas, enhance exchange rate fluctuations and volatility reforms, and expand exchange rate marketization reforms. Finally, it is necessary to increase supply on security assets so that domestic financial assets have a stabilizing effect. This includes the role of national debt and some outstanding listed company stocks. At the same time, the management and control of risky assets should be increased. In addition, it is necessary to further strengthen the comprehensive opening of finance, but further improve the financial prudential supervision system. The regulation and control of risk assets, including risk assets, should be included. Tax reduction and fee reduction continue! The social security rate is lowered in May, and the scale of the "three insurances" for employees has exceeded 300 billion. In addition to the VAT rate reduction, this wave of measures by the Ministry of Commerce will also benefit car consumption. Ministry of Commerce: Sino-US economic and trade consultation is still in progress, and news will be notified in time.